Dr. Carl James was appointed as the Jean Augustine Chair in Education, Community and Diaspora for a five-year term effective July 1, 2016. Dr. James brings a strong record of scholarship and community engagement to this key position; and as Chair he will focus on addressing issues and concerns related to marginalized people within a framework of equity, inclusivity, and social justice. Dr. James is the Founding Director of the York Centre for Education and Community and has been a member of the Faculty of Education since 1993. He is cross-appointed to the graduate programs in the Department of Sociology, and supervises graduate students in Environmental Studies, Interdisciplinary Studies, Social Work, and Social and Political Thought. A former youth leader and community worker, he has extensive experience with critical ethnography, action research, and government and institutional policy analysis. 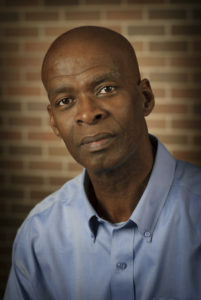 Dr. James is widely recognized for his work in ethnically and racially diverse communities and for his role, nationally and internationally, in research around equity and identity as related to race, class, gender, racialization, immigration and citizenship. He is known for his mentorship and is engaged in professional development with social service workers, community agencies and educators. Darin Barney is the Grierson Chair in Communication Studies at McGill University. 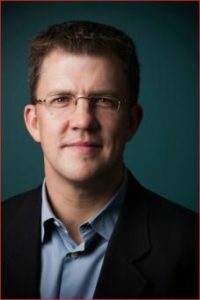 He was born in Burnaby, Canada, and studied at Simon Fraser University and the University of Toronto, where he trained in political theory and received a Ph.D. in 1999. He has worked at several universities in Canada and the United States and from 2005-2015 was Canada Research Chair in Technology & Citizenship at McGill University, where he has also served as Chair of the Department of Art History and Communication Studies (2005-2007) and Director of the Graduate Program in Communication Studies (2010-2013). He was President of the Canadian Communication Association from 2010-2012, and served on the Advisory Council of the Law Commission of Canada from 2000-2005. He has received several awards for his academic work, including the inaugural Social Sciences and Humanities Research Council of Canada’s Aurora Prize (2003) for outstanding contribution to Canadian intellectual life by a new researcher. He currently sits on the Board of Governors of McGill University. He is the author of several scholarly works, including One Nation Under Google: Citizenship in the Technological Republic(2007 Hart House Lecture); Communication Technology: The Canadian Democratic Audit(UBC Press: 2005); The Network Society(Polity Press: 2004); and Prometheus Wired: The Hope for Democracy in the Age of Network Technology (University of Chicago Press 2000). He is co-editor of several books and journal editions, including The Participatory Condition (University of Minnesota Press: 2016, with Coleman, Ross, Sterne and Tembeck); Community in the Digital Age: Philosophy and Practice(Rowman and Littlefield: 2004 with Andrew Feenberg) and a special issue of Theory & Eventon Quebec’s “Maple Spring” (2012; with Brian Massumi and Cayley Sorochan). Jayne Malenfant is a PhD Candidate at McGill University in the Department of Integrated Studies in Education. She is a Pierre Elliott Trudeau Scholar and Vanier Scholar. 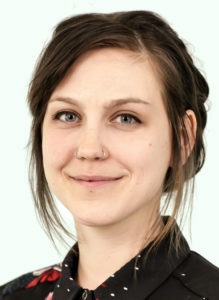 Her current research utilizes a Youth Participatory Action Research approach, and focuses on issues of institutional access for precariously housed and homeless youth, with a focus on schools. Jayne emphasizes the autonomy and activism of young people in shaping new possibilities for the future.